Microneedling can provide the same skin resurfacing results as laser treatments or chemical peels without the associated discomfort, long recovery time, and loss of skin layers. The expert skin-care team at Southeast Sculpting + Rejuvenation in Fort Mill, South Carolina, uses the SkinPen®, the only FDA-cleared microneedling device. If you’re concerned about fine lines or early signs of collagen loss, call the office or schedule a consultation online today to learn how microneedling can enhance your skin’s health and youthful appearance. Microneedling is a cosmetic treatment that uses a sterile device to make microscopic wounds in your skin. These wounds are so small that they close and heal almost immediately, but they’re present long enough to stimulate your body’s natural healing response. This triggers the production of collagen and elastin, the two proteins your body uses to repair and rebuild your skin tissue. As this natural healing occurs, your fine lines, wrinkles, and scars fade. 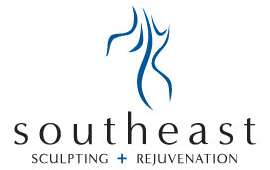 The team at Southeast Sculpting + Rejuvenation primarily offer microneedling treatments for your face, neck, and decollete’. Upon request, they will treat hands, stretch marks and scars elsewhere on your body. What should I expect with a microneedling treatment? SkinPen® microneedling treatments are relatively quick, usually taking about 60 minutes. As you relax on a treatment bed, your provider cleanses your face and then numbs your skin with a topical cream to prevent discomfort. The SkinPen is a small, handheld device that’s shaped something like a pen with a wide tip. As your provider moves the “pen” over the targeted treatment area, the device makes hundreds of tiny wounds in your skin. The procedure may leave your skin slightly pink, similar to what you would experience with a mild sunburn. You may also note mild tenderness after a microneedling treatment. These symptoms typically fade quickly, however. Microneedling is safe for all skin types and can be done at any time of the year. No exercise and limited sun exposure with sunscreen is recommended for the first 48 hours following the procedure. Your provider will give you specific after-care instructions regarding how to clean and moisturize your skin following treatment. SkinPen provides lasting results for wrinkles, fine lines, and other cosmetic skin concerns. For optimal results, it’s generally recommended you have a series of three treatment sessions. How should I care for my skin after a microneedling treatment? Your skin may be slightly pink, similar to what you’d experience with a mild sunburn. You may also note mild tenderness after a microneedling treatment. These symptoms typically fade quickly, however. Otherwise, your provider gives you specific aftercare instructions regarding how to clean and moisturize your skin following treatment. What are the benefits of microneedling compared to laser and other resurfacing treatments? Microneedling improves your skin from within and provides effective and lasting results. And you won’t need the same recovery time that’s necessary for laser resurfacing or chemical peels, which can take weeks to heal. The treatment is also relatively quick and typically very well-tolerated. To discuss microneedling, call Southeast Sculpting + Rejuvenation today or book your visit online.